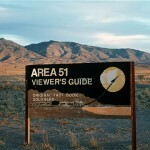 While debunkers have been trying to refute the theories of the ancient aliens visiting our planet, there are numerous examples that prove the existence of aliens and their influence in the development of mankind in the fields of science, technology and engineering. 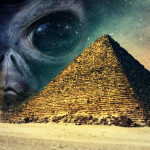 Here are top 20 proofs that will support the ancient astronaut theory without leaving much scope for people to wonder if the theory is invalid or not. 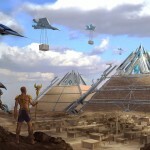 All the proofs will help in establishing the fact that ancient man did come across a very technologically advanced and highly intelligent race which helped them big time to get developed. 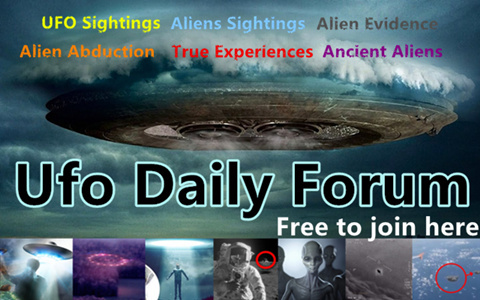 The proofs will prove that ancient man had encountered things in the past which is why they have mentioned about these things in their texts, drawings or artifacts. 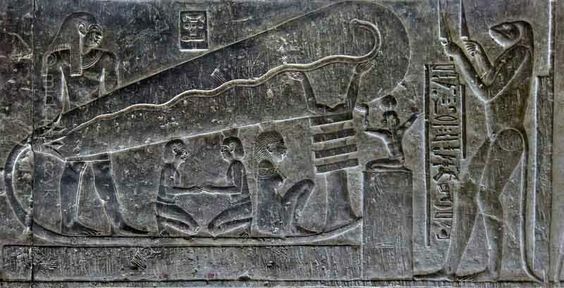 (1) The presence of helicopter and modern day spacecraft in the hieroglyphic relief found on the walls of the Temple of Seti I at Abydos in Egypt. 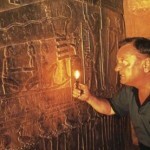 (2) The carvings on the walls of the underground crypt at the Temple of Dendera in Egypt clearly show that the Egyptians used to work with electric bulbs thousands of years before it was being invented by Thomas Alva Edison. (3) Hindu Sanskrit texts mention about flying crafts calls Vimanas which used to carry the Gods and come down from the skies. 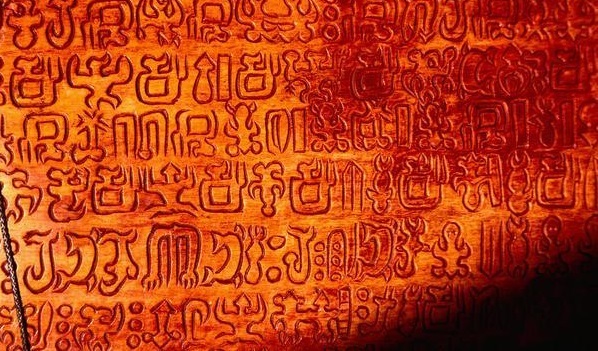 These scripts were written thousands of years back. 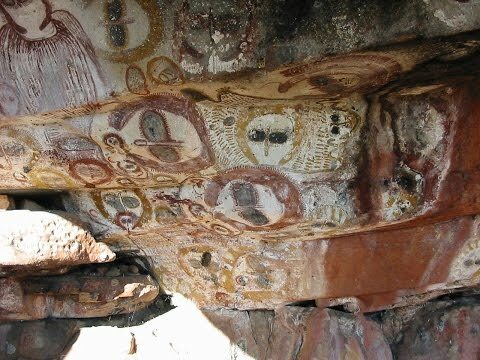 (4) Ancient rock paintings bear alien like figures which are seen interacting with humans. 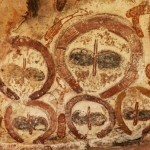 These rock paintings were done quite a few thousand years ago. 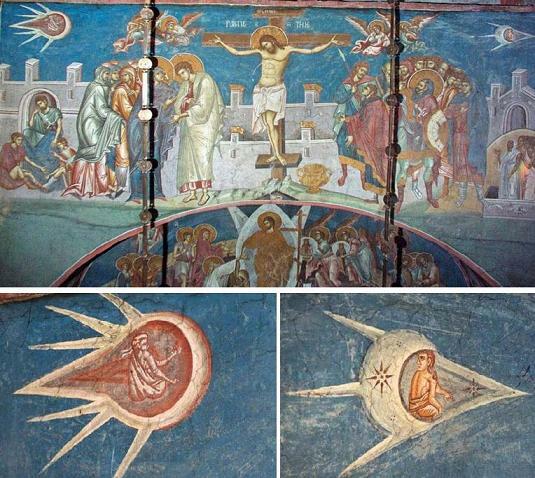 (5) Many Medieval paintings bear a flying object that is seen flying in the sky with radiations coming out of it. ‘Madonna with Saint Giovannino’ is a classic example of such painting. 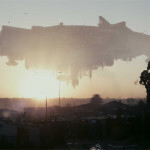 These flying objects are a proof that UFOs are not sighted only in the recent times, but they have been a regular phenomenon over centuries. 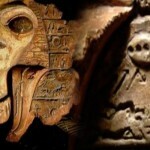 (6) Sumerian pottery work bears the image of a being that has long hands, round eyes, bald head and wiggly structure. 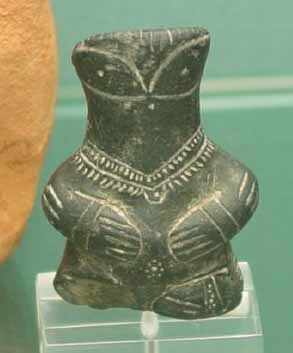 The figure which certainly does not look like a human was being carved into the vessel at least five thousand years back. 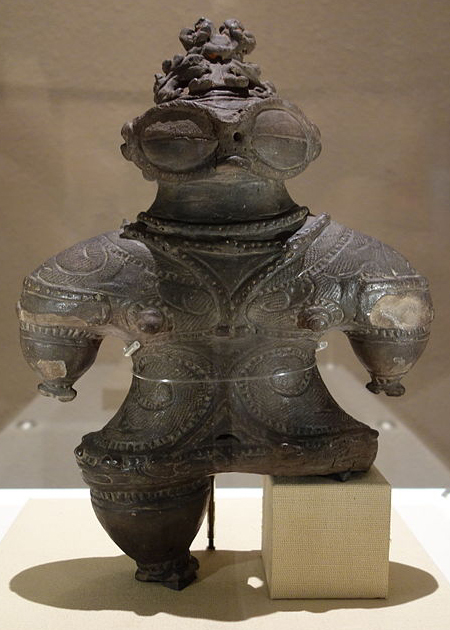 (7) The Dogu statues of Japan have the appearances of non human beings and no one knows why the Japanese would sculpt such strange figurines amidst the statues of regular humans. 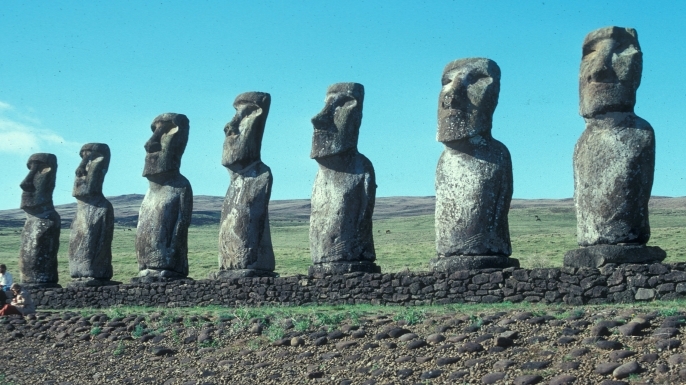 (8) The Moai statues of Easter Island are an example of intricate stone carving and wonderful craftsmanship. The statues are so heavy that it seems almost impossible for ancient men to carry them to different parts of the island without super intelligent guidance that would have got only from the aliens. 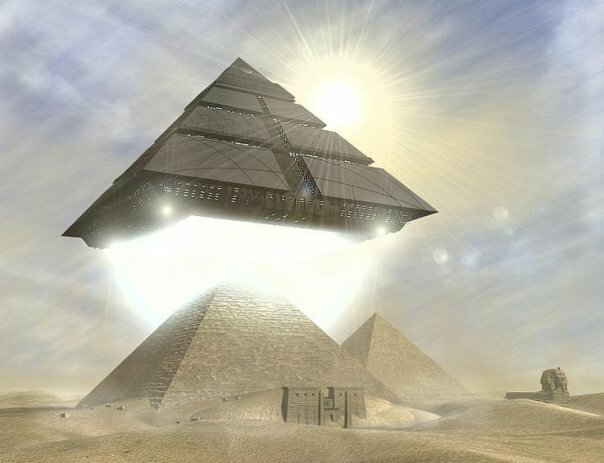 (9) The Great Pyramids of Egypt are an example of extremely advanced work of engineering, which was something that ancient man was not capable enough to develop on their own. 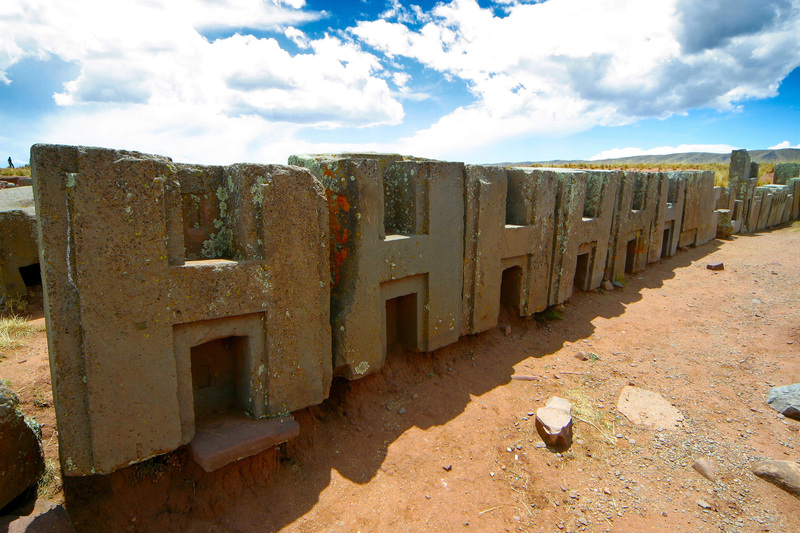 (10) The intricate carving and accurate placement of the huge blocks in the monuments of Puma Punku certainly makes it evident that an alien intelligence was put into effect to get such a task of high magnitude accomplished. 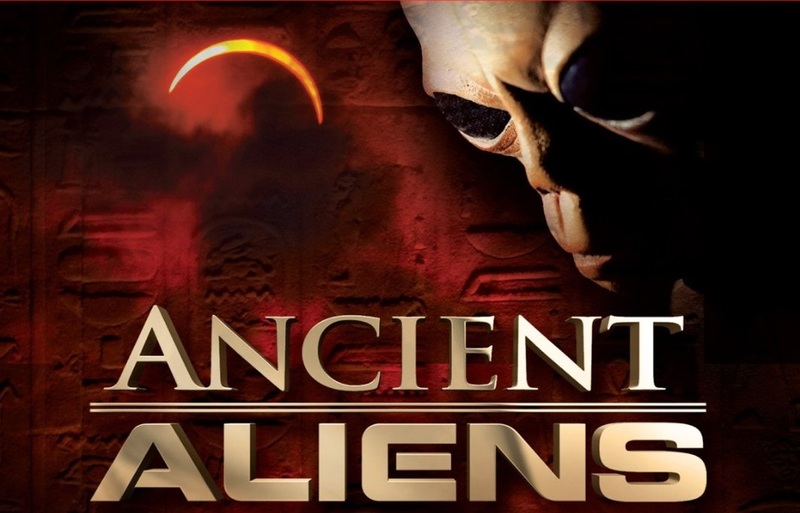 (11) Similar to the Pyramids, the monuments of Puma Punku, the Mayan Pyramids and many other megalithic sites across the world prove the presence of aliens and usage of their technology in the building of such colossal monuments. 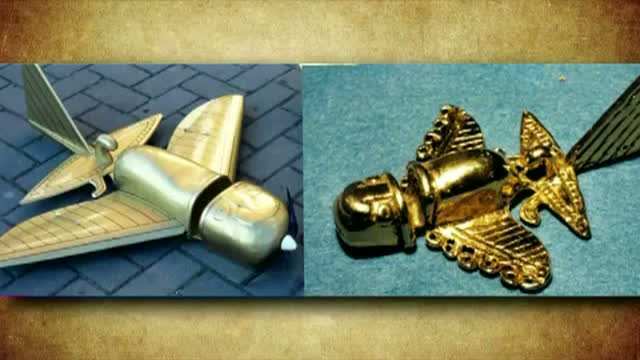 (12) Small golden figures that resemble modern jet planes were found in the Inca civilization which dates thousands of years back. 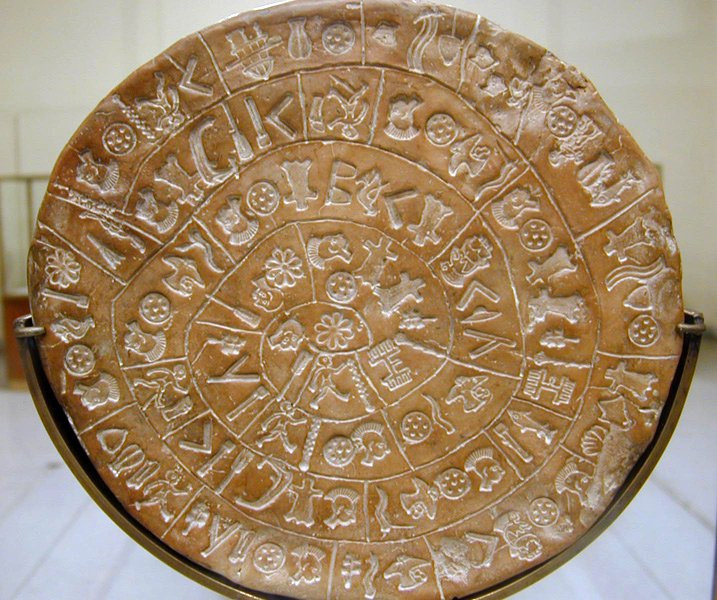 (13) The fireclay made Phaistos Disc the creation of which dates back to 2nd Millennium BC, bears strange symbols and figures which has not been deciphered by the best experts of the field. 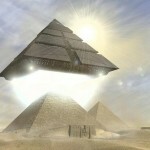 The Discs which are 6 inches in diameter point towards alien connection as all other symbols and codes that were made by ancient men have been deciphered so far. (14) The carved stone that was found in Lake Winnipesaukee looks exactly like an astronaut with his help on. 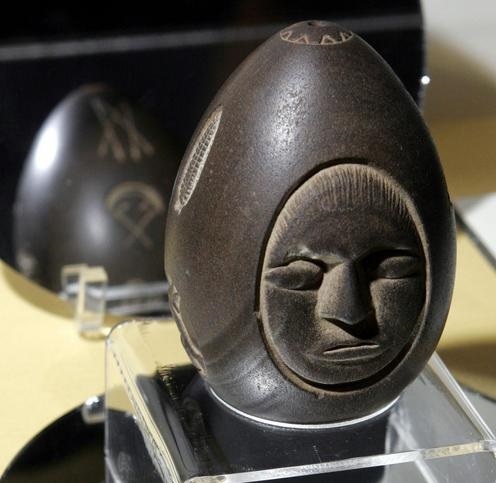 The egg shaped stone bears different symbols on the back side and it is believed to have been made at least ten thousand years back. 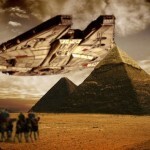 The oldest civilization dates back to 2218 BCE which is about four thousand years back only. 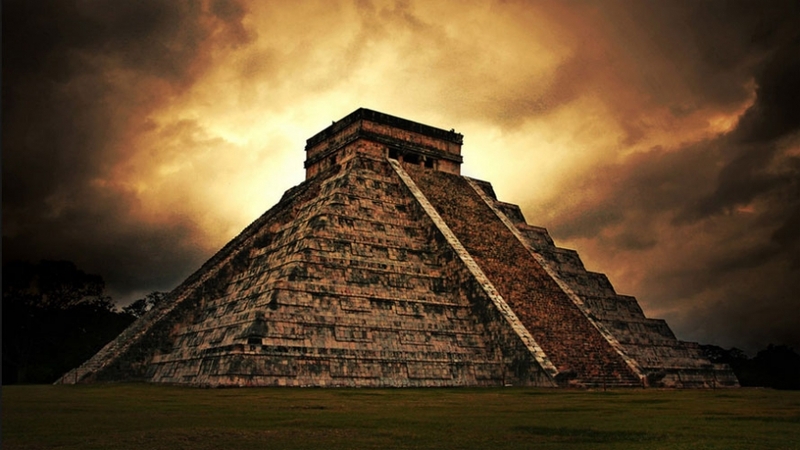 (15) The lid of the great Mayan Emperor Pacal’s sarcophagus shows him taking off for heaven in a space shuttle. The emperor is seen controlling some levers with his hands while he has a nozzle pipe close to his nose which resembles oxygen supply pipe of the modern days. 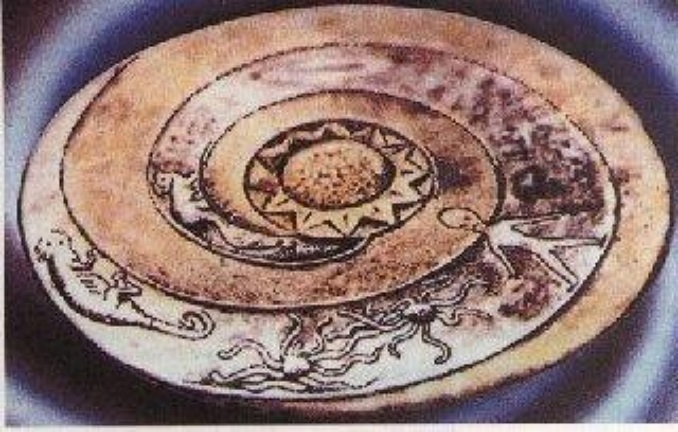 (16) The Lolladoff Plate which dates back to twelve thousand years ago bears the image of a figure which looks remarkably similar to the classic grey aliens that we hear people talking about. 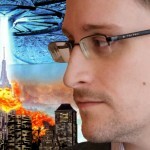 The plate also bears a spiral galaxy with an UFO at the very beginning of the spirals. 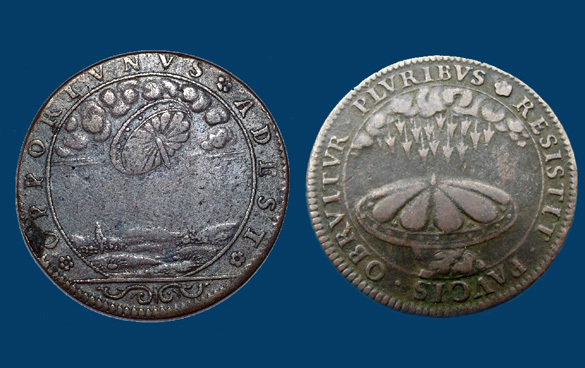 (17) Minted in 1680, the French UFO coin bears the shape of a UFO flying in the skies. 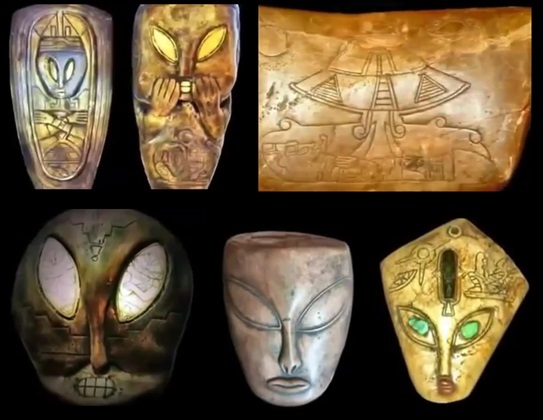 (18) The different Mayan artifacts that have been released by the Mexican government bear the figures and faces of many beings with large oval eyes that look more alien than human. 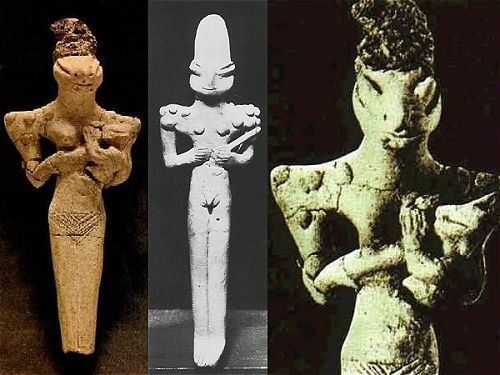 (19) The statue of the Ubaid Lizard Man that is found in present day Iraq and is believed to be made about four to six thousand years ago depict strange lizard like humanoid figures which would remind you more of aliens than of anything else. 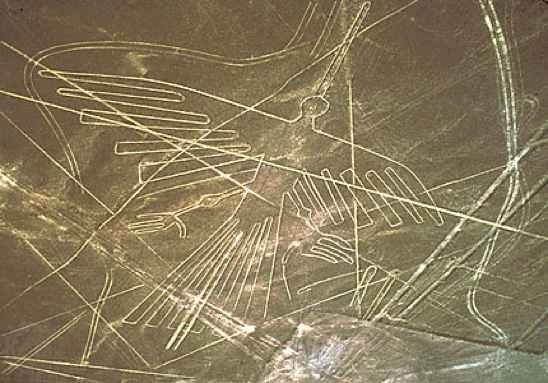 (20) The Nazca lines of Peru that stretch for miles on the rough terrain of the deserts of Peru are thought to be drawn by aliens as drawing such impeccably straight lines was not possible for ancient men in those early days.